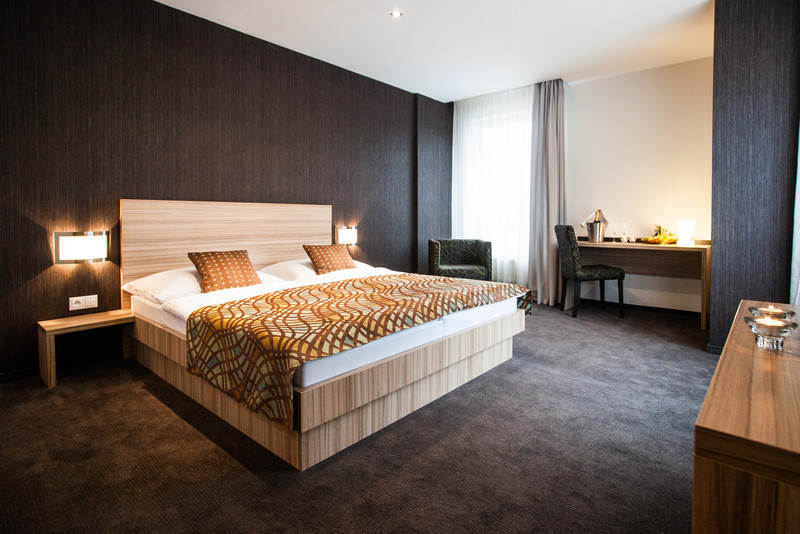 Enjoy the fusion of modern design and sporty elegance of our rooms. Luxurious suites will surely charm you with their spacious terraces. 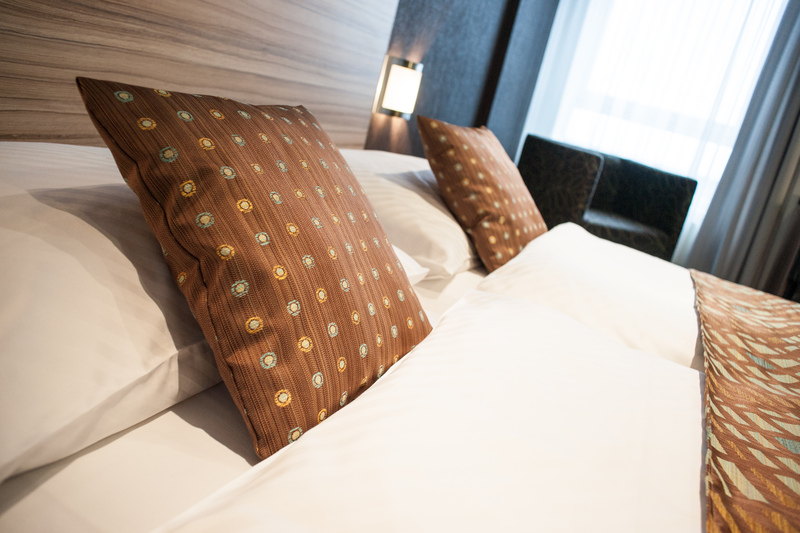 You will find comfortable accommodation in air-conditioned rooms and suites here. Accommodation for 2 people in an air-conditioned double room. 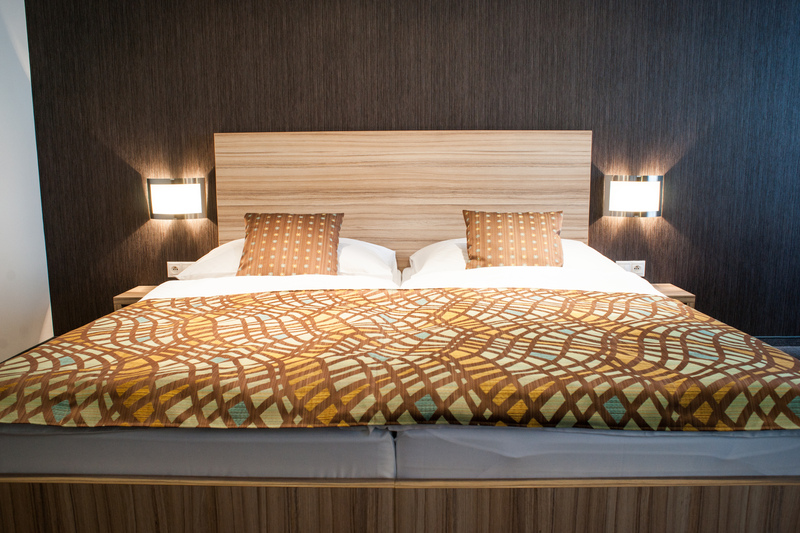 The price for 1 person staying in the double room is from 83 €/night. 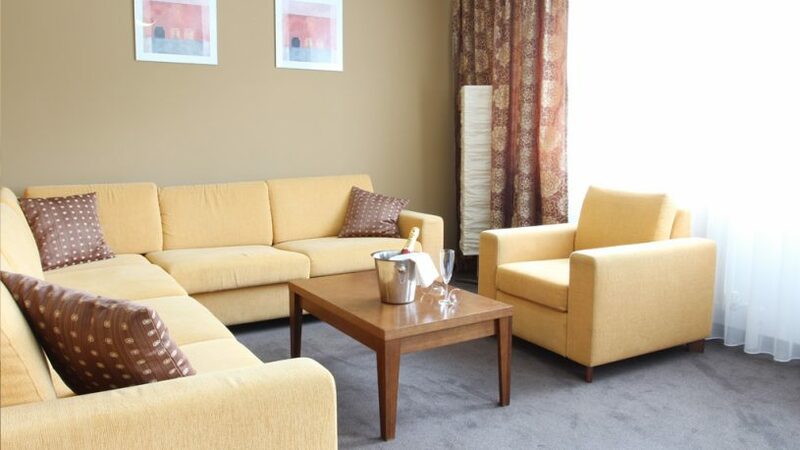 Accommodation for 2 people in a stylish air-conditioned suite. Price from 139 €. Spacious air-conditioned suite provides luxurious accommodation with a terrace overlooking hotel’s sports area. Price from 179 €.